Delhi-based Giant Tech Labs Pvt Ltd, which runs social discovery app Shouut, has raised $500,000 (around Rs 3.4 crore) in seed funding from an undisclosed high networth individual. The development was first reported in Business Standard. Praveen Kocha, founder of Shouut, was quoted saying that the startup will use the funds to scale up operations. Queries sent to Shouut by Techcircle.in did not elicit any response till the time of filing this report. 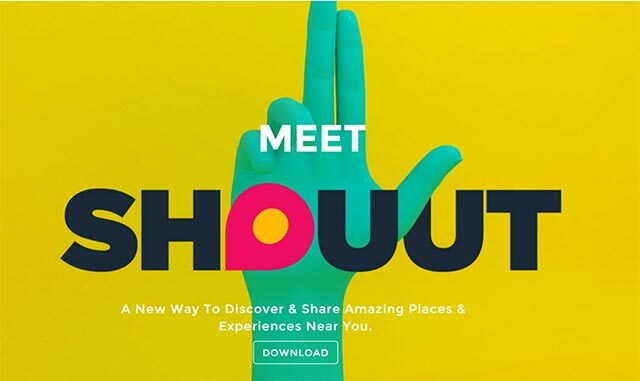 Founded in 2015, Shouut is a mobile based social discovery platform that helps individual find recommended restaurants, nightlife options, travel places. Shouut also helps individuals to get rewards from retail, food and beverage, hospitality and other brands when one is in immediate proximity to or inside the establishment. The app uses geo-fencing and iBeacons to target consumers and give them relevant and contextual information. Shouut is currently aggregating content from more than 150 bloggers, publications and travel writers and has more than 25,000 recommendations across categories. The content partners include Lonely Planet India magazine, So Delhi, The Daily Pao and Kunzum Travels. The firm is also associated with retail outlets such as Shoppers Stop, Croma, DLF Promenade, Benetton, Reliance Digital among others. Shouut competes with horizontal deal aggregators such as Little, Perksmap, Groupon, Zerch and others, nightlife planning apps such as OUWT, FNB City Media, Happitoo and others. It also competes with Zomato for food, with Tripadvisor and Tripoto for travel and also with Bookmyshow for events booking. Earlier this month GoYaNo, an online marketplace for discovering events and restaurant deals, raised around $50,000 (Rs 35 lakhs) in seed funding from Carclubindia.com founder Mukesh Kumar Gupta. Little Internet Pvt Ltd, which owns deals discovery app Little, recently raised an undisclosed amount in funding from Singapore sovereign wealth fund GIC Pvt Ltd.
Mumbai-based Yagerbomb Media Pvt Ltd, which operates nightlife discovery platform OUWT, had secured $150,000 (around Rs 1 crore) from a group of undisclosed angel investors.